State water officials checked the snowpack in the Sierra Nevada today and reported that recent storms boosted it to the highest level in five years. On average, the statewide snowpack is 114 percent of normal for this time of year. That number isn't a reflection of how many inches of snow California has; it's a measurement of how much water the snow contains. Today's manual survey at Phillips Station, south of Lake Tahoe, showed the snowpack at 130 percent of the February average. That's just one location, though. There are more than 100 locations up and down the Sierra where the state gets readings of the water content in the snowpack. The vast majority of them reported the snowpack at under 90 percent. 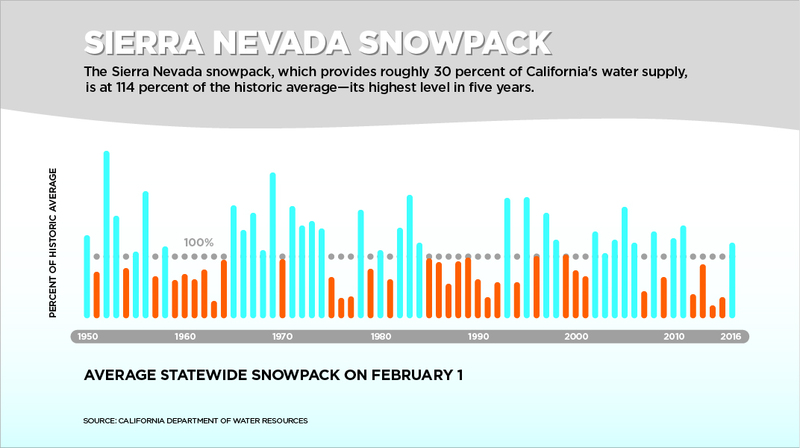 About one-third of the state's water supply comes from the snowpack, but the good news in the Sierra doesn't mean the drought is easing. A lot could happen to change the outlook for summer between now and April 1, when, historically, the snowpack has reached its peak before melting and feeding rivers and streams. And the state's major reservoirs are still very low; all but one are below average, because they began the year with so little water. 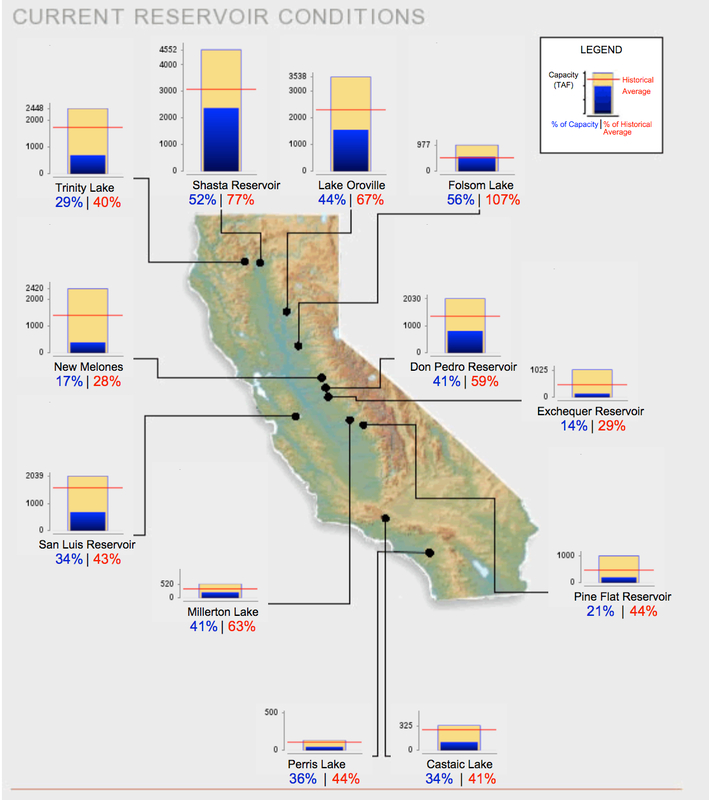 As of yesterday, Shasta, the state's largest reservoir, was only 52 percent full. State officials say the drought won’t be over until California makes up the water deficit that’s built up over the last four years. That likely won't happen for a year. 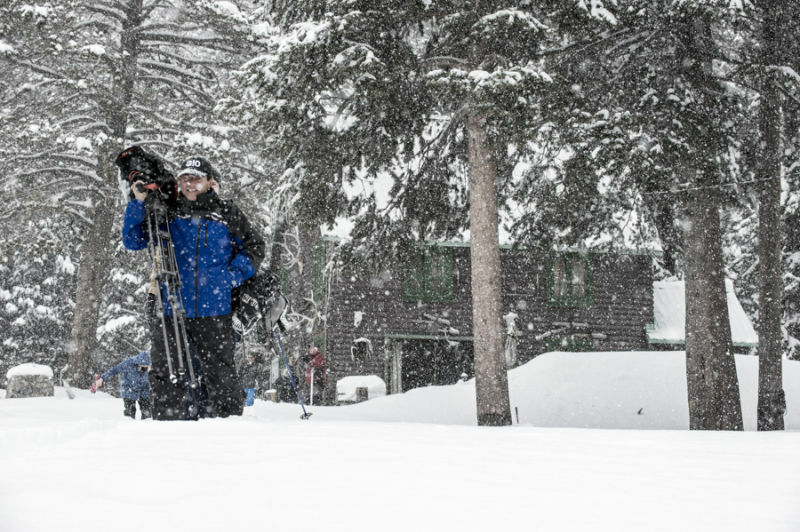 So while today's snow survey brings good news, officials remind us the drought is far from over.